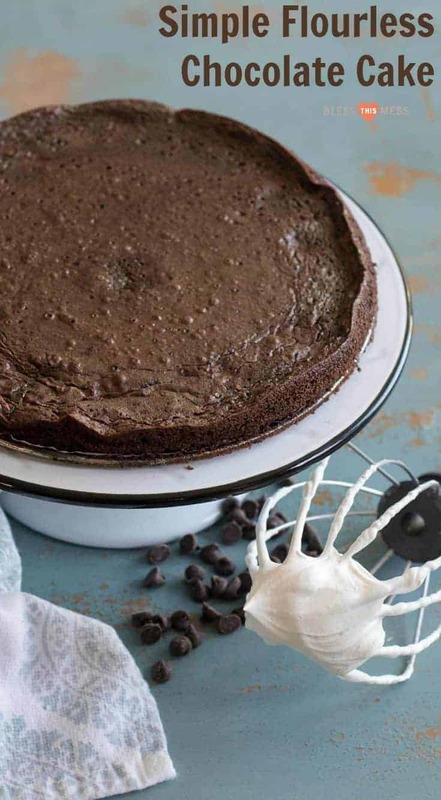 A simple yet very impressive rich and fudgy flourless chocolate cake recipe that is made with common ingredients, done in less than 30 minutes- and it’s naturally gluten free. Friends, I’ve been working on this recipe for you since January and the one pictured is the 8th time trying to get it just right. Making delicious chocolate cake over and over again is a sacrifice, but it was one that I was willing to do just for you. 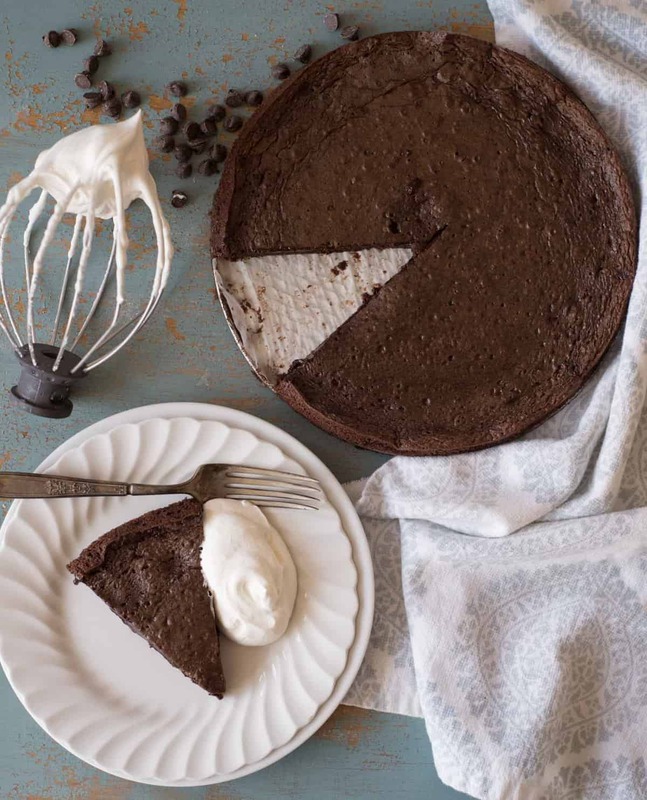 I love flourless chocolate cake and I am here to convert you to this sinfully rich and just a little bit fancy dessert that literally takes less than 30 minutes to make. 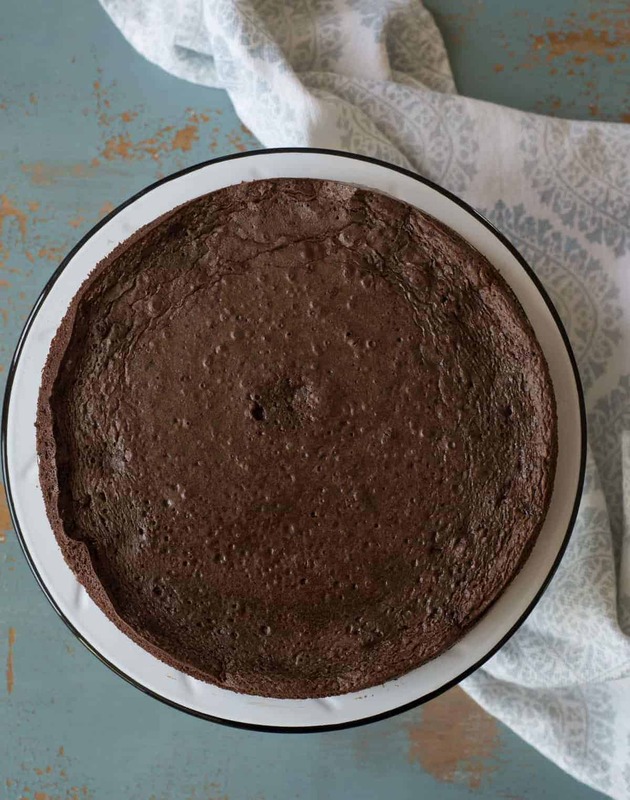 Flourless chocolate cake is one of those desserts that you can make when you are having friends over for dinner or heading to a party because it’s super easy, you probably have everything on hand to make it, and it just looks fun. Then you can really get crazy and top it with everything from ice cream or whipped cream to raspberry sauce to chocolate ganache. The texture of a flourless chocolate cake is what I like so much. It’s like a soft, under-baked brownie but better. You can eat this dessert hot, and it’s a bit like eating a chocolate lava cake. Or you can stick it in the fridge and eat it cold. I love it all the ways, so I normally eat it while its hot and then stick the other half of the cake in the fridge so that I can eat it cold for breakfast. So simple yet so fun. This would be perfect for Valentine’s Day – I think you should make it this week as a treat for yourself or a treat for someone you love. This dish is great served hot or cold. I love it alllllll the ways. You can serve it 30 minutes after it comes out of the oven, or a whole day after you make it. Just wrap up the pan well and keep it in the fridge. This is one of my favorite make-ahead desserts for a party. 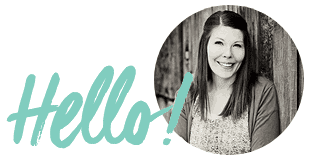 So fancy but so easy. Serving it with whipped cream or ice cream is a must, as it is very rich. You can also serve it with fresh berries, a chocolate or mint-chocolate ganache drizzled over it, a dusting of powdered sugar, or even a raspberry sauce. You can use semi-sweet or milk chocolate chips; it all depends on how dark and rich you like your chocolate desserts. Use a good quality chocolate chip though – you can taste the difference. No worries! Just make it in a 9-inch cake pan. It won’t look quite as fancy but it’ll still taste great. How can I tell if my cake is done? Insert a toothpick into the center of the cake. If it comes out clean with nothing sticking, the cake is done. The edges should also just be starting to pull away from the pan. 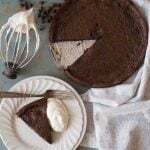 A simple yet very impressive rich and fudgy flourless chocolate cake recipe that is made with common ingredients, done in less than 30 minutes – and naturally gluten free. Prepare a 9-inch springform pan by greasing it well and adding a round layer of parchment paper to the bottom of the pan. Place a layer of tin foil snuggly around the bottom of the springform pan to catch any leaks. In a microwave-safe bowl, add the chocolate chips and butter. Microwave in intervals, stirring often, until the butter is hot and melted and the chocolate is melted completely. Allow the mixture to cool for a a few minutes. Add the sugar and the cocoa and stir well to combine. Add the eggs, one at a time, stirring well after each addition to create a smooth and shiny batter. Add the vanilla and stir to combine. Place the batter in the prepared pan and set the pan on a baking dish, making sure the foil is tight around the outside of the pan. Bake for 18-20 minutes, until the top forms a crust. Cake will be a bit jiggly (but not sloshy) and still runny in the middle. Remove from the oven and let sit 20-30 minutes before serving (this helps it to slice pretty, but you can let it sit for as little as 10 minutes). Run a knife around the edge of the spring form pan before removing the edge. This dish is great served hot or cold. I love it all the ways. Serving it with whipped cream of ice cream is a must, as it is very rich. You can also serve it with fresh berries, a chocolate or mint-chocolate ganache drizzled over it, a dusting of powdered sugar, or even a raspberry sauce. You can use semi-sweet or milk chocolate chips; it all depends on how dark and rich you like your chocolate desserts. If you use a smaller spring form pan you’ll need to cook the cake longer. I had to cook it an additional 8 minutes when using an 8-inch spring form pan. 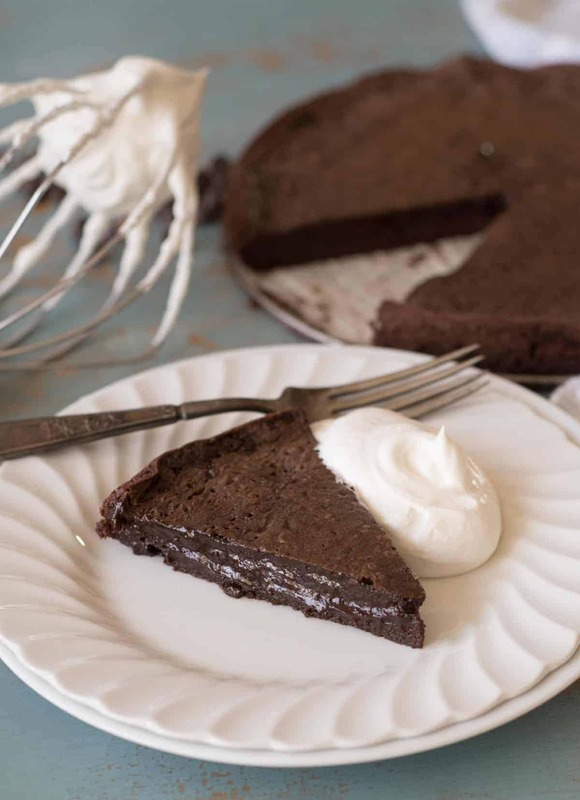 Enjoy this awesome flourless chocolate cake recipe from my kitchen to yours. 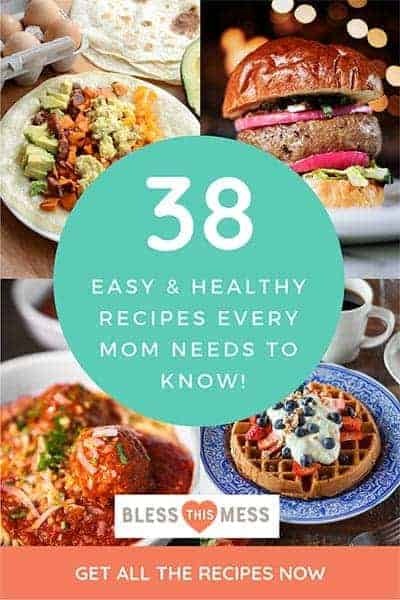 I love the simplicity of this recipe and the many options it can be prepared and served. Definitely rich, fudgy and chocolatey! 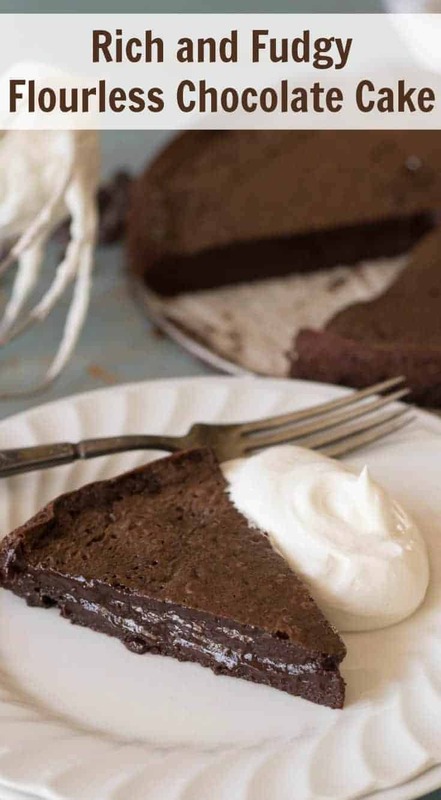 Flourless Chocolate Cake is so underrated–this looks so fudgin’ delicious! OH Yum!! Right up my chocoholic/sweet tooth alley. Looks so good! It looks very good indeed and tasty. I’ll make your cake recipe. Cake looks Delicious and fresh, the image itself looks tempting, how can someone think of not to taste it!